Got a moment? See below for an easy action step to support a new pro-life federal policy! I just submitted my comment, and it only took a few minutes. We have heard that pro-abortion comments are outnumbering pro-life ones, so you are needed to make up the difference! 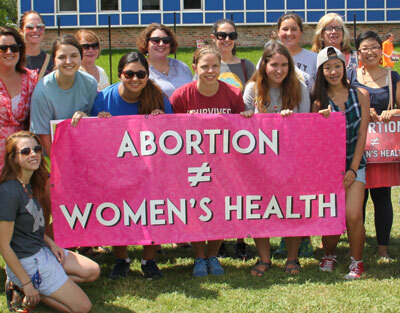 On Monday, a remarkable thing that sends fear into the ranks of the abortion industry will happen: 50+ high school and college students will gather for an entire week in Baton Rouge at our PULSE Leadership Institute! These heroic students will train to be pro-life leaders then carry those leadership skills out through action. We still have a few spots available - register today! Watch our Facebook page and Instagram for updates throughout the week. P.S. I hope you can join us Wednesday evening in Covington for a great presentation by Bobby Schindler, brother of Terri Schiavo . Terri's life still matters! Title X funds will continue to support groups that perform women's healthcare, but not those that also perform abortions. President Trump recently announced Title X family planning funds would no longer go to groups that perform abortion, but the rule has not yet been implemented. HHS is now accepting public comments on the proposal . Since this rule change will cost Planned Parenthood millions, you can be sure their supporters are registering their opposition to the plan. Pro-lifers need to show support for the new policy! Fatherhood Begins in the Womb! No one can take the place of a father! This month we celebrate all the men who have embraced the responsibilities of fatherhood and experienced the joy that accompanies that choice. 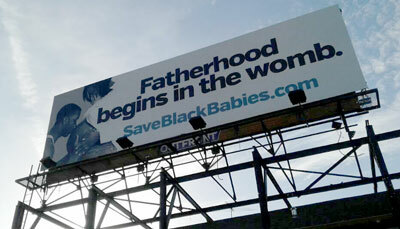 New billboards sponsored by Louisiana Right to Life, New Orleans Right to Life, and Louisiana Black Advocates for Life are up around the New Orleans area with the message "Fatherhood Begins in the Womb." Bobby Schindler, brother of the late Terri Schiavo, will present "Why Terri’s Life Still Matters" at 6:30 p.m. Wednesday, June 20, at St. Peter Catholic Church, 125 E. 19th Ave., Covington. Terri Schiavo suffered a profound brain injury in 1990, and later her estranged husband sought and received court permission to starve and dehydrate her to death. Learn More and Plan to Attend! The 2018 PULSE Leadership Institute begins Sunday, and if you haven't signed up yet you can still register through the end of today. This will be an exciting week for high school and college students to dive into the pro-life cause. The week will feature local and national speakers, hands-on activism, testifying at the Capitol, field trips, games, and more! Register Before 5 PM Today! 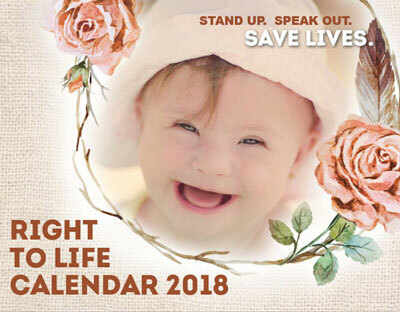 Every year, Louisiana and New Orleans Right to Life produce a "Right to Life Calendar" chock full of babies showcasing the beauty of life. We are nearing the deadline for the 2019 Right to Life Calendar, and we are accepting baby photos for possible inclusion. Do you have a baby picture you'd like to submit for the next calendar? Gallop recently released new national polling data on the issue of abortion, and the results found that a majority of Americans oppose all or most abortions. 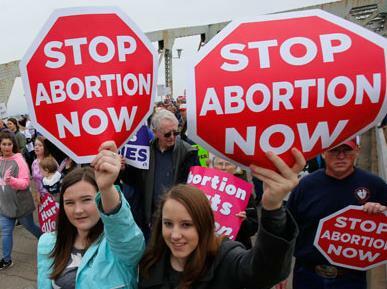 The polls showed that 53% of Americans want all or most abortions made illegal. More Americans also find abortion to be morally wrong. These findings are generally unchanged from previous years. 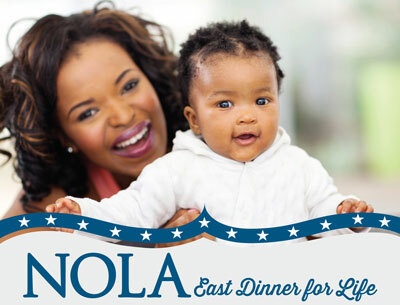 Come hear from pro-life State Rep. Katrina Jackson at the second New Orleans East Dinner for Life, set for 5 p.m. on July 28 at St. Maria Goretti Parish Hall, 7300 Crowder Blvd., New Orleans. A free meal will be served on a first come, first served basis. The event is sponsored by New Orleans Right to Life and Louisiana Black Advocates for Life. 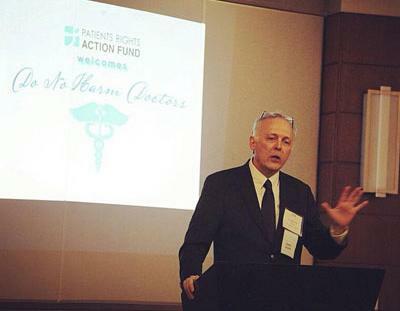 LARTL's Benjamin Clapper and Alex Seghers were in Chicago last weekend supporting Dr Jeff White from Shreveport and other doctors' and medical students' heroic efforts to retain the AMA's position against physician assisted suicide. Unfortunately, AMA delegates voted to continue to review, not maintain, its longstanding opposition to the practice.